Welcome to Charlotte Harbor Boat Storage. We are a family owned and operated dry storage facility offering safe haven for your vessel while you are away. Our yard is the cleanest, most accommodating facility in Southwest Florida and we take pride in what we do. We are third generation boat builders and have decades of experience in the marine industry, including manufacturing, service, and storage. We value the fact that so many of you have trusted us with one of your most prized possessions, your boat! As mentioned, we are a dry storage facility for sail and power boats ranging in size from 30' to 60'. We have over six acres of fenced, graveled yard with access to power and fresh, potable water throughout. Our equipment includes a remote controlled 30 ton travel lift, a remote controlled hydraulic trailer for hurricane stacking, and a truck crane for stepping spars and lifting engines. 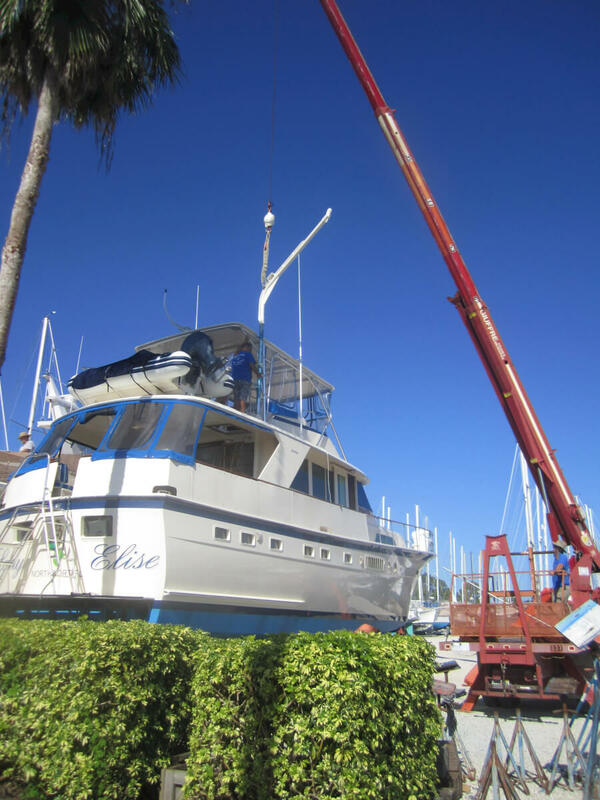 We are a Do-It-Yourself yard but do allow properly insured and licensed contractors to work on your boat. We are located in Southwest Florida, at the north west corner of Charlotte Harbor, between Boca Grande and Port Charlotte. 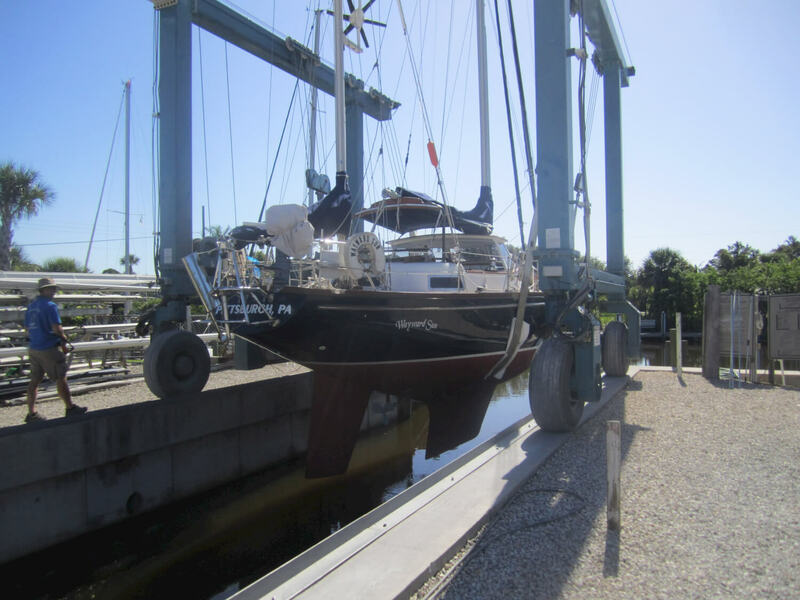 Our property is located on a canal in the community of South Gulf Cove, behind a self-operating lock providing protection from hurricane storm surges and giving your engines a fresh water flush upon your approach. We are several miles inland behind the barrier islands that are found on the west coast of Florida. Also for your convenience you will be a short drive away from hardware stores, marine supply centers, and markets/restaurants. Once your boat is out of the water and safely on land you will have access to the yard 24/7. You can even stay on your boat for a limited period of time while working on it or getting it ready for cruising. Please come by and check us out! We would love to answer any questions you have. Happy boating! This drone video shows an overview look at Charlotte Harbor Boat Storage Yard while a sailboat is moving through the yard. This video shows Haul-e in use as well as a travelift to move sailboats, catamarans, motor yachts around the yard. Video shows Haul-e in use as well as a travelift to move sailboats, catamarans, motor yachts around the yard.